Want to improve the look of your smile within one dental appointment? Through cosmetic bonding, your dentist is able to apply a tooth-colored restoration to the surface of your teeth to conceal damaged or discolored teeth. If you have ever felt self-conscious about your smile, you owe it to yourself to start a conversation with an experienced Gahanna cosmetic dentist. Cosmetic bonding is not only more affordable than other cosmetic dentistry services, but it can also help boost your self-esteem. For a more beautiful smile, we recommend you consider the pros and cons of tooth bonding compared with other cosmetic dentistry techniques. In this blog post, we will go over the benefits of dental bonding and how this procedure can improve your quality of life. What does cosmetic bonding fix? Cosmetic bonding is an affordable smile makeover because it requires less time and material than other types of tooth restorations. The tradeoff is that cosmetic bonding procedures won’t last as long as crowns and veneers and is only recommended for small trouble areas. You won’t need to be put under anesthesia for dental bonding, unlike other tooth restoration procedures like crowns and veneers. Instead, your dentist will smooth out the surface of the tooth to be bonded. Then, your dentist will apply a tooth-colored resin to cover the damaged tooth. To bond the putty-like resin to your teeth, your dentist will then expose your tooth to ultraviolet light or a laser so you can eat, drink, and talk normally after the procedure. Compared to other dental restorations, cosmetic bonding is less invasive and allows you to keep your natural teeth in better condition. Dental crowns, on the other hand, require that your natural teeth be filed down by a cosmetic dentist before being placed. In addition to being faster, dental bonding removes far less tooth enamel. Who do I contact for cosmetic bonding? A cosmetic dentist will be experienced in many different types of tooth restorations, including dental bonding. For the best results, you’ll need to see a cosmetic dentist with prior experience in tooth bonding. Before choosing a cosmetic dentist, you should look at their before and after pictures of past dental bonding patients. Only Request An Appointment if you are pleased with the professional results in the photos. To find a cosmetic dentist near you, we recommend asking for a referral from your general dentist or asking family and friends who’ve recently got work done. If you are interested in learning more about our cosmetic bonding service, please feel free to call our Gahanna dental practice at (614) 475-7580. Dr. 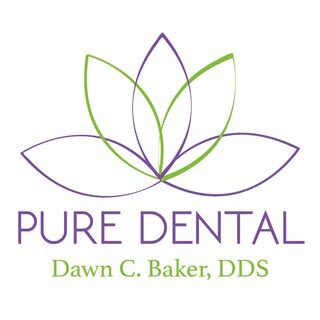 Dawn Baker DDS strives to help patients achieve their best smile through preventative care and cosmetic dentistry.